The magical Black Frankincense, is blended with other essential oils as a calming blend, helpful in times of anxiety and high stress. 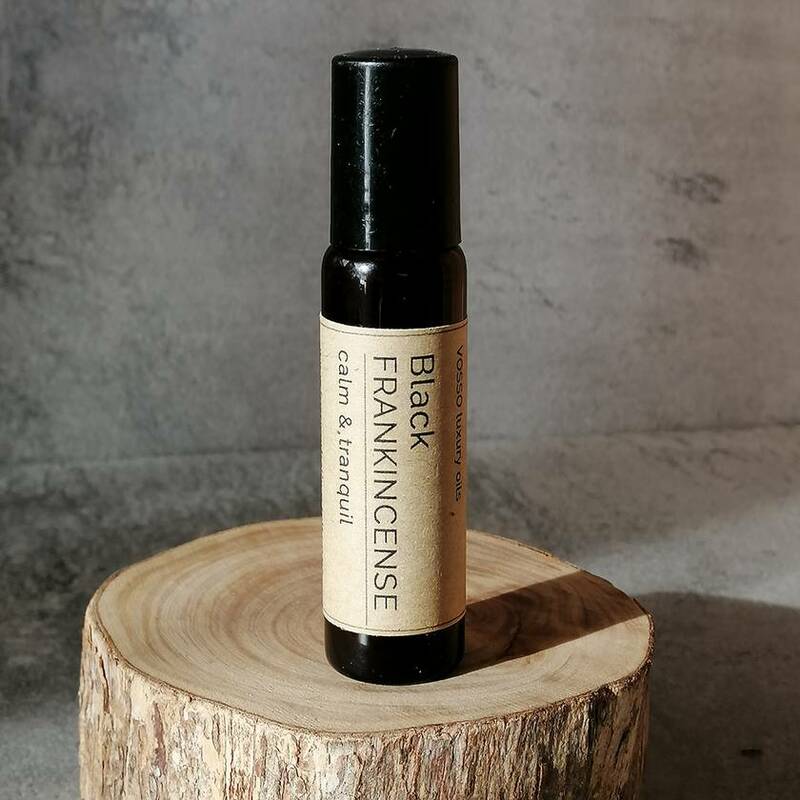 The Frankincense is sourced by me, from a fair trade supplier who travels and gathers small quantities of resin directly from villagers that have harvested from their trees for many years. They have a relationship with their local trees in which they look after them and never over harvest. It is then extracted as an oleoresin before being blended with other anti anxiety essential oils in a base of Biodynamic New Zealand Olive Oil, (which I also source directly from the grower). As this product contains no artificial preservatives or stabilisers it is better kept in a refrigerator or a cool room. This product comes beautifully presented in a 10ml amber glass roller and makes a lovely gift.